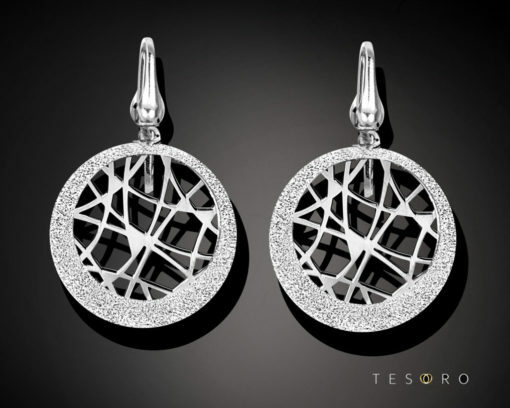 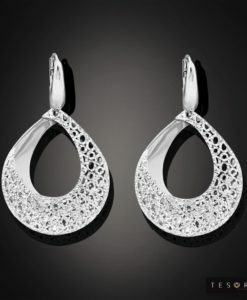 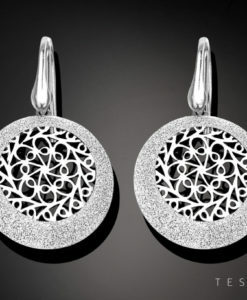 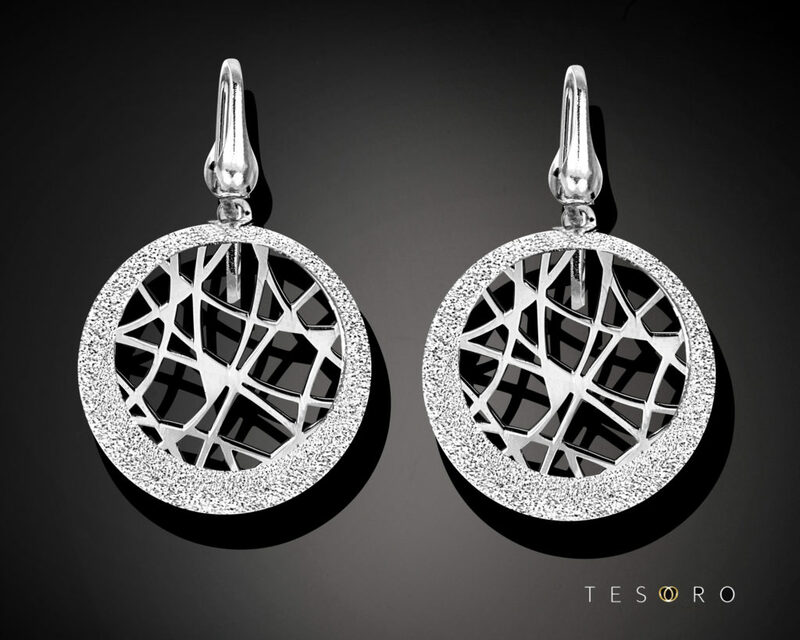 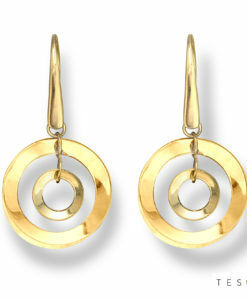 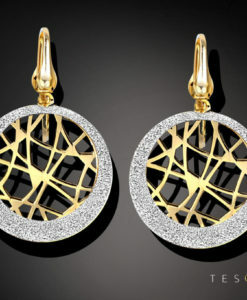 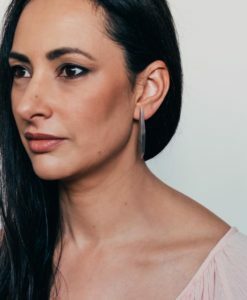 A strikingly modern pattern paired with the glamorous glitter fabric make Crotone, dangle earrings to remember. 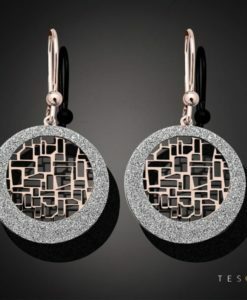 A strikingly modern pattern paired with the glamorous glitter fabric make Crotone, dangle earrings to remember. 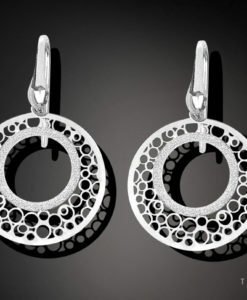 A style that could be straight off the Italian runway. 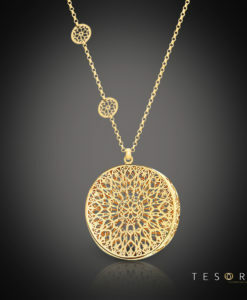 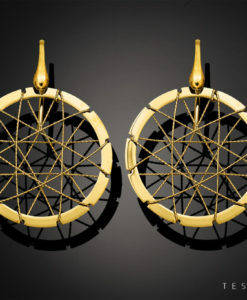 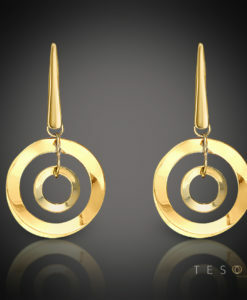 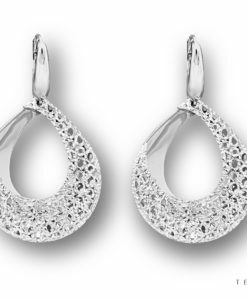 Pair with the Caltanissetta pendant for set that will have everyone talking. 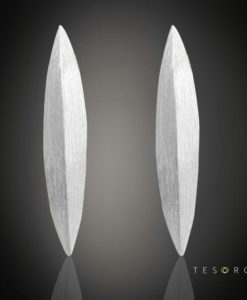 Tesoro Tip: Crotone’s rounded profile makes them a great choice for those with a longer face profile.